We’re learning more about how the Apple Watch will work when it’s released next year, thanks to new info for developers that came out on Tuesday. 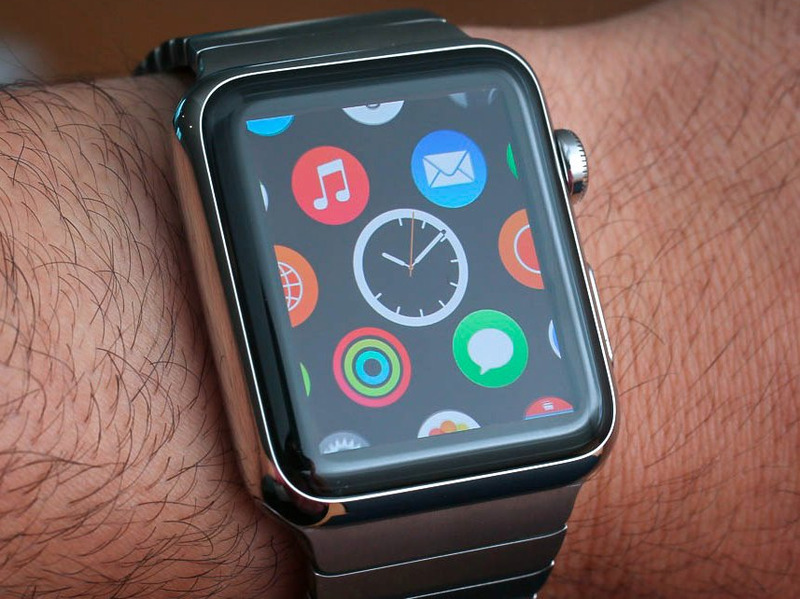 A document called Human Interface Guidelines show how Apple Watch apps will work and what developers should do (or avoid doing) to make their apps a hit on the platform. You’ll need an iPhone or iPad to get the most out of apps. “A Watch app complements your iOS app; it does not replace it,” writes Apple. Two types of notifications will cover most uses. Short look notifications give a quick alert to something happening in the app, and disappear quickly. Long look notifications let users take an action, like commenting on or favoriting a photo. Info will also be available in quick “glances.” Unlike notifications, which will pop up automatically, users will have to choose to look at these glances. Apple warns that Glances should be based on what the user is doing right at the moment — no “stale” or “irrelevant” information — and should only be there to provide useful information, not just to launch the app. Gestures will be the same across all apps. “You cannot add gesture recognizers to your app. ” Instead, apps must use standard set of gestures, including a vertical swipe for scrolling, and a left-edge swipe to navigate back to the previous menu. There will be different resolutions for the two sizes. 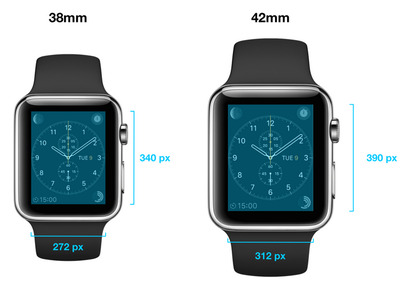 The developer’s guide also clued us in to the Apple Watch’s display for both the 38mm and 42 mm models (all measurements in pixels): 340 x 272 and 390 x 312, respectively. Perhaps aware of the limitations they have put on developers, the Human Interface Guide offered some advice. “Enlist the help of a professional graphic designer,” said Apple. More detailed information for developers is available here.